The Global Effies honor the most effective marketing communications efforts across two or more continents. New York (May 23, 2013) - The 2013 Global Effie Award winners were announced as part of the North America Effie Awards Gala in New York. Since 1968, Effie Worldwide has honored marketing ideas that work. Global Effie Awards recognize effective single brand ideas running across at least four countries in two or more regions worldwide. The five regions are defined as: Africa & the Middle East; Asia Pacific; Europe; Latin America & the Caribbean (includes Mexico); North America (U.S. & Canada). Grey Worldwide and Procter & Gamble won a Silver Global Effie Award for “Febreze Global Azerbaijani Olympics Campaign” (with contributing agencies POSSIBLE and MSL New York). To create a campaign that would stand out among all the other Olympic advertising, Febreze decided to forge a unique sponsorship of the Azerbaijani Wrestling Team to demonstrate to moms how Febreze can take on even the toughest sports odors. 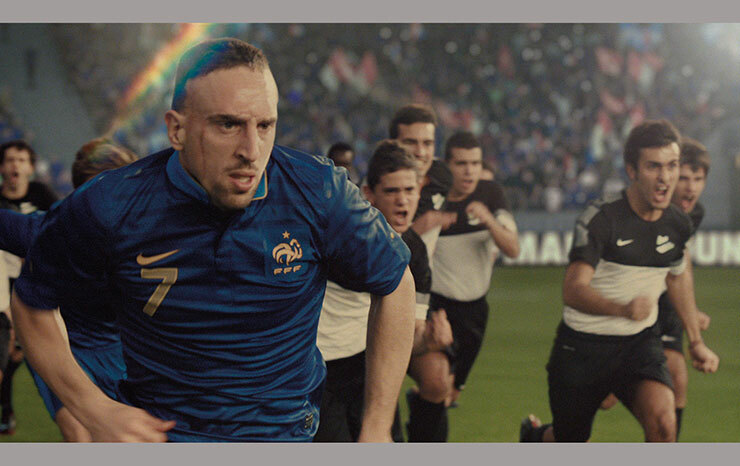 Wieden+Kennedy and Nike won a Bronze Global Effie Award for “My Time Is Now” (with contributing agencies Mindshare and AKQA). The work redefined what a football campaign could be, protected the brand's position in key global markets and drove double-digit growth for the category. StrawberryFrog and Jim Beam won a Bronze Global Effie Award for “Devil’s Cut Global Campaign” (with partner agency The Works and contributing agency Jung von Matt). Through a multi-channel global campaign, the launch was a great commercial success, exceeding volume sales by over 50%. "The Jury for the Global Effie was looking for strong connections between the opportunity identified, precise communications objectives, interesting insights, a smart idea and proven results that tied directly back to the communications activity in each market. Couple those with the requirement of running in at least four markets around the world and the degree of difficulty gets very high," said Greg Andersen, Board Member of Effie Worldwide and moderator of Global Effie judging. "The Jury felt Febreze, Nike Football and Jim Beam Devil's Cut all exhibited strong elements that delivered cases of world-class marketing effectiveness." At the North American Effie Awards Gala, the rankings of the 2013 North America Effie Effectiveness Index, created in partnership with WARC, were revealed. The remaining international & regional Effie Effectiveness Index rankings will be announced in June in Cannes and will be featured on www.effieindex.com. A list of winners for the North American Effie Awards can be found on www.effie.org. The Effie Awards are known by advertisers and agencies globally as the pre-eminent award in the industry, and recognize any and all forms of marketing communication that contribute to a brand's success. Since 1968, winning an Effie has become a global symbol of achievement. Today, Effie celebrates effectiveness worldwide with the Global Effie, the Euro Effie, the Middle East / North Africa Effie and more than 40 national Effie programs. For more details, visit www.effie.org. Follow @effieawards on Twitter for updates on Effie information, programs and news.